Our readings spur us on to be wholesome people who live in the presence of God through prayer and good works. Such people are called “just ones, or people of integrity and even holiness which mean the same in the long run. The wordrighteous is applied to St. Joseph in the first chapter of Matthew. He is a “dikaios” a just and righteous man. The book of Proverbs helps us to understand this through divine practical wisdom given to us in the 31 chapters of this book of wisdom. Its short statements are down to earth and even funny, for example, when it describes the state of drunkenness in the middle of its scroll. It is worthwhile to read Proverbs just for plain enjoyment of its riddles, comparisons, and witty sayings. Psalm 15 speaks of the righteous on a higher level by emphasizing its importance in prayer and helping us to live out its application to our daily lives. Wholesomeness is again brought to our attention. Positive thinking is always a part of human wisdom. Psalm 15 helps us in our personal and communitarian spirituality, for it puts us into the presence of God as were the people who prayed it while approaching the Temple in the holy city of Jerusalem. The Talmud states that the 613 commandments of the Torah are summarized in this Psalm. It fulfills Leviticus 19:18: “O Adonai (Lord), teach us how to love our neighbor as ourselves.” It is said that David restricted the 613 commandments of the Torah to eleven, and Amos and Habakkuk to one. Our psalm has the same spirit. Jesus tells us to be lights for the world and not to hide that light under a bushel or table. We follow this advice of Jesus who is the Light and Life of the world. If we do not listen to his words of wisdom we are apt to lose eschatological joy. Jesus prompts us often to listen but this is difficult in a noisy atmosphere or even moreso in our own distractions when appearing to listen to others. We are often too busy with the noise surrounding us while wasting time that could be used for study, prayer, and fulfilling the spiritual and corporal works of mercy. The Scriptures are similar to the wise friends we have in our lives who help us to learn how to listen to God’s voice, our neighbors’, and those in our more intimate circle of family and friends. We can develop our talents by our listening and our silence. Let us seize this day by listening to the Scriptures and to those who treasure them in their hearts. 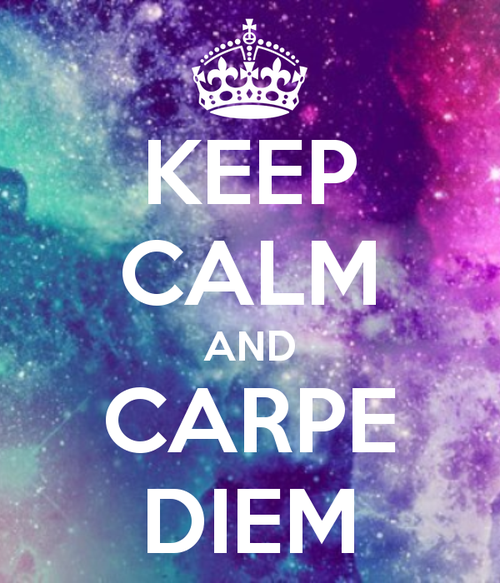 Carpe Diem: Seize the opportunities of this day. Amen.